Kathy asks: "Can you help me find where to get this polka dot dress that Maria Menounos was wearing in this photo." 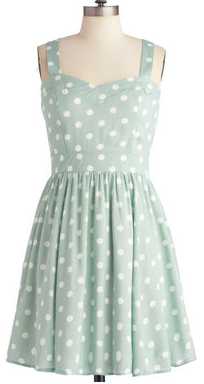 That polka dot dress is certainly lovely! Would make anyone woman look surprisingly beautiful.